This summer I am on a crustacean kick. How gross does that sound? Whatever! I love every little cockroach of the sea right now including shrimp, lobster, crab, clams, mussels, etc. While I used to give the stink eye to people indulging in that fishy mayo slop on a hot dog bun, I grew to understand it. And now I am obsessed. You see, it's not fishy at all. And there's not that much mayo. Add some seasoning and celery, and BAM! You good! $29 will get you a heavenly lobster roll with fries. It was very filling, and although I've had cheaper, the flavor and atmosphere made up for it. Ed's is lively and fun, and they have a raw bar too. I complimented my lobster roll with an Oyster Bloody Mary. 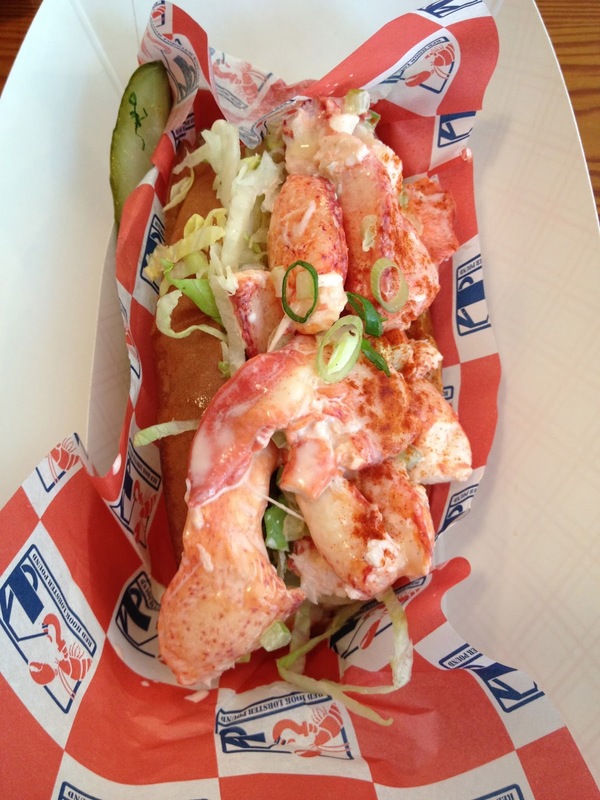 This Red Hook lobster roll is $16 worth of perfectly cooked fresh lobster. After all, this roll in particular has been rated as a top lobster roll by Time Out New York and Zagat. The flavor was great. Not too much mayo, just the right amount of spices, and plenty of meat. This may be in my top two favorite, and it's mainly because of how perfectly cooked the meat was. Not at all overcooked like so many do..
$20 is nothing for the amount of lobster you get in this roll. They prepare it with a ton of claws (my favorite) piled on top. They definitely DO NOT skimp on lobster. The meat is so tender and seasoned perfectly, accompanied by house made chips and slaw. Left Coast Kitchen is one of my favorite restaurants for their lobster/seafood dishes. For the reasonable price of $13 you get TWO lobster rolls. But don't be fooled, the bread is cut shallow and it's so thick you might as well man up and scoop all the meat into one for a more authentic (messy) lobster roll feel. This was not my favorite roll of them all. Smaller pieces of meat, not the best flavor I've had. But what they may lack in their roll they make up for with $2 beers at the bar during happy hour! I just love that it's a casual beach joint with live music. I have a soft spot for summer spots like this on Long Island! The flavor was outstanding for the standard price of $18! Crunchy and soft. Not too much mayo. Toasted bun. It was a lobster roll to remember. The entire dining experience at Madison & Main was memorable. Check it out for a more upscale lobster roll. 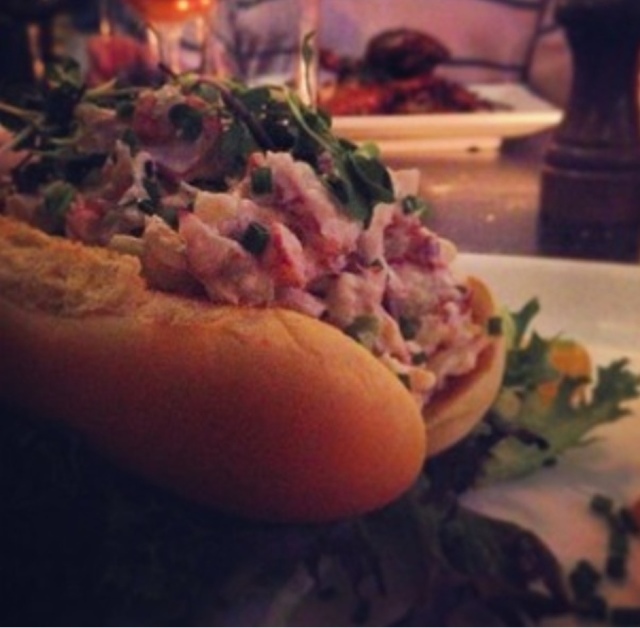 $24 is the going rate for this famous lobster roll. It's my mandatory pit stop off Montauk Highway right before hitting Montauk. The bread was lightly grilled and chunks of lobster meat spilled over the edges. The celery slices gave it a fresh flavor. I love my fries with coleslaw and that's exactly what I got on my dish! Perfection.